The independent laboratory of JSC "REAGENTY VODOKANALA" was founded in 1998. (accreditation certificate No. 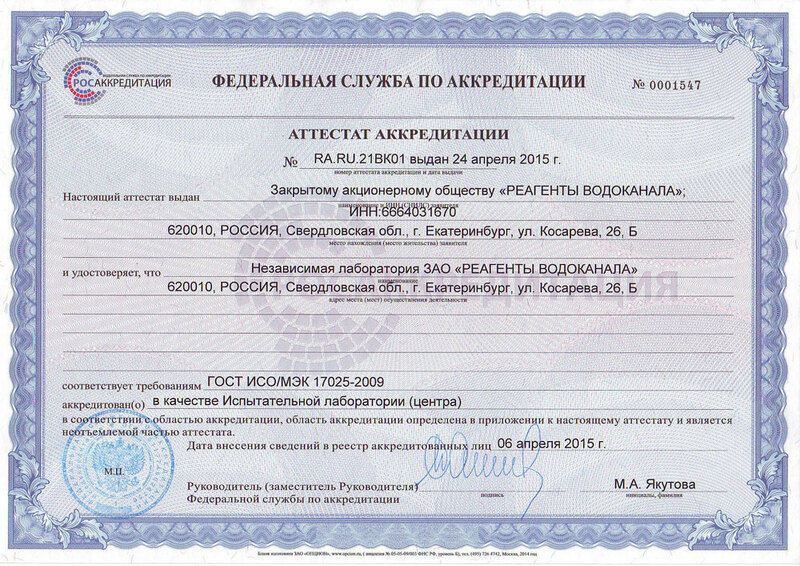 RA.RU.21VK01 dated "03" November 2016). 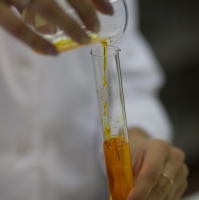 Many years of experience in analytical work in the field of industrial environmental monitoring of sewage and industrial quality control of drinking water and sources of drinking water supply, allows us to offer qualified assistance in the field of water treatment and environmental monitoring facilities. First-class specialists will provide expert assistance in the field of water analysis and interpretation of the results.